Princess Cruises operates a modern fleet of 17 cruise ships with three more ships to come between 2017 and 2020. They sail to more than 150 itineraries and to more than 300 ports. They operate under the Carnival Corporation, an entity that includes 10 distinct brands. Princess Cruises started out in 1965 with one ship and has grown into one of the biggest cruise lines in the world. The company became a recognized brand as a result of the “Love Boat”, a television series that ran in the 1970s, introducing millions of viewers to cruising. It was filmed using Princess Cruises’ vessels. Since 2003, Princess Cruises has been part of Carnival Corporation & plc. Other brands that operate under Carnival Corporation include Carnival Cruise Line, Aida Cruises, Costa Cruises, Holland America Line, P&O Cruises, P&O Cruises Australia, Cunard Line, Seabourn, and Fathom. 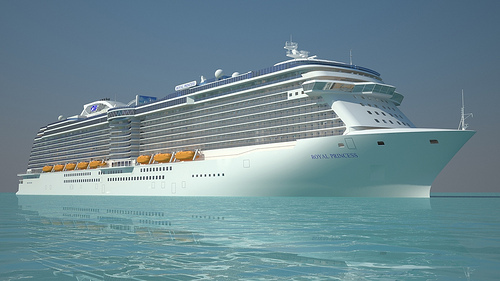 In 2017, Princess Cruises will launch the Majestic Princess with another ship scheduled to debut in 2019 and another in 2020. Today Princess Cruises is a brand that offers facilities and activities for a variety of demographics including couples and multigenerational family cruising. All their ships have extensive youth and teen facilities and programming with the exception of the Pacific Princess which only offers youth programming when 20 or more children (aged 3 to 17) are cruising on a specific voyage. Princess Cruises is also known for their exceptional guest service. In fact their CRUISE credo and customer service training program, launched in 1996 is the longest running such program in the industry. The CRUISE acronym stands for Courtesy Respect Unfailing in Service Excellence and this guiding philosophy strives to empower all of their officers and crew to be Consummate Hosts. Princess Cruises’ employment pages can be accessed through the “Careers” link in the More Information section at the bottom of their website. After choosing Shipboard Cruise Careers you can either “Search Jobs” or “Learn More”. Both options under the Shipboard Cruise Carers section include information on onboard career choices, how to apply, and details about living and working at sea. Princess Cruises has a global network of International Recruitment Partners that assist with hiring around the world. Only use the agencies and concessions authorized by Princess Cruises to apply for a job with them. Cruise Jobs (Singers and Dancers): casting@princesscruises.com.